Toprope knobs to flakes left of Seconds to Darkness, join Seconds for a short bit, then traverse right across face to a small roof and thin face. Good, challenging, and varied. 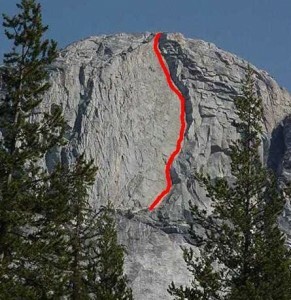 Which SuperTopo guidebooks include a topo for Georges Top Rope? The route follows a striking left-facing dihedral.